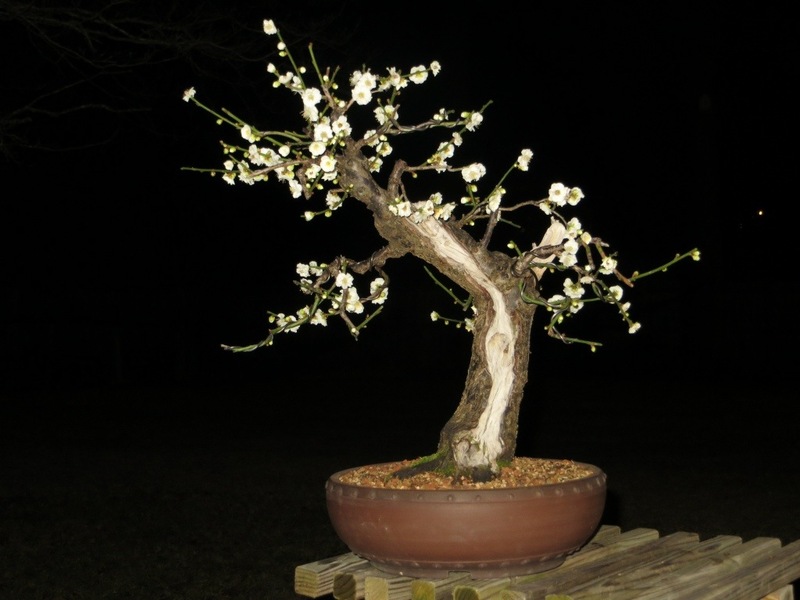 Here is a quick flash through the last year of this ume. More is here. And now blooming again to bring in the new year! What did I learn in ’12? 1. The soil mix was not retentive enough, 1:1 akadama and lava required watering at least daily, and more as the season advanced. The next soil will be closer to 2:1 or even 3:1 akadama and lava. 2. Wire branches with more aggressive movement at the bases, since the blooms are at the ends of the straight canes, and are later pruned back. The more movement, the better. 3. 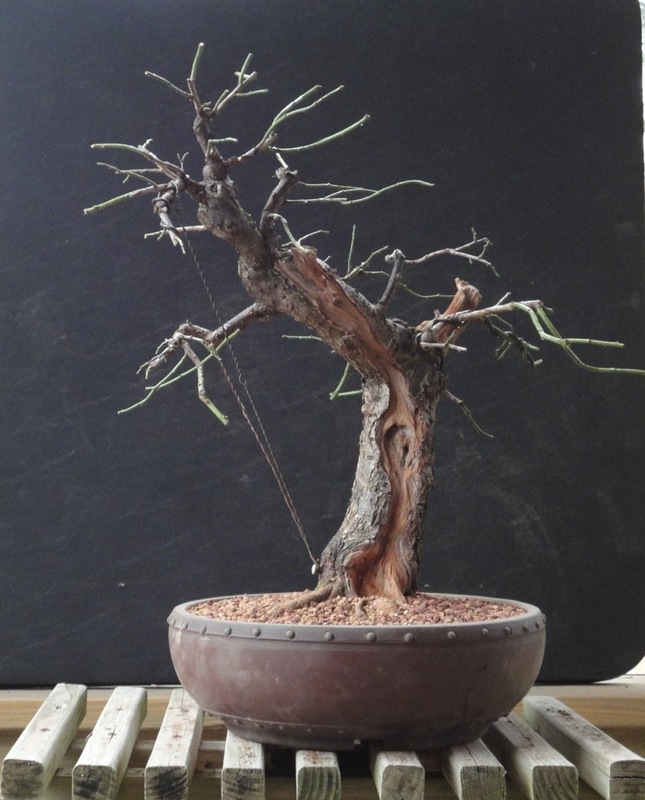 The challenge is to balance pinching to improve ramification without sacrificing blooms. 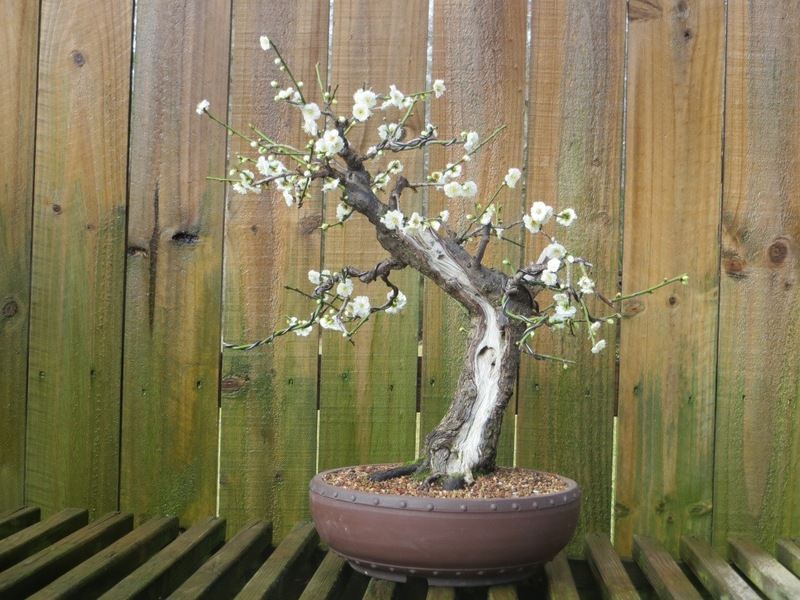 April might be the latest it can be pinched back without sacrificing blooming in the winter. 4. Full sun and tons of feed kept the tree very strong all year, but watering was a chore. Hopefully with a more retentive mix, it can make it 24 hours between watering. What’s in store for ’13? 1. 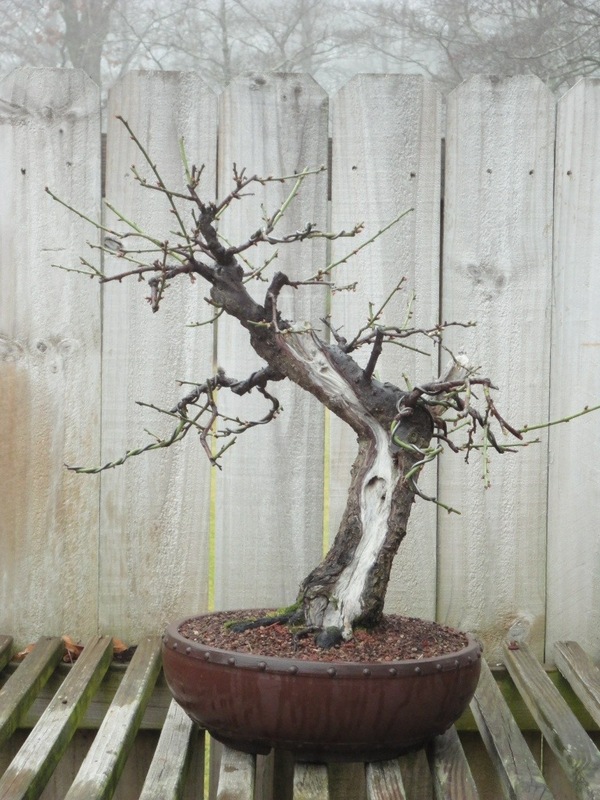 Prune hard after blooming to keep encouraging growth closer to and along the trunk. 2. Wire remaining shoots for more movement. 4. Feed and water like crazy all year. ← Merry Christmas, and Happy New Year! 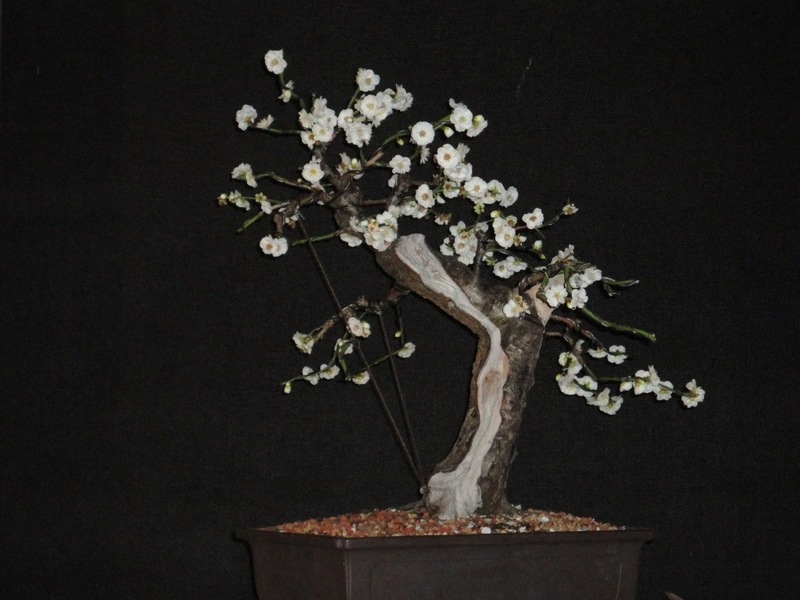 Excellent work on the Ume…. 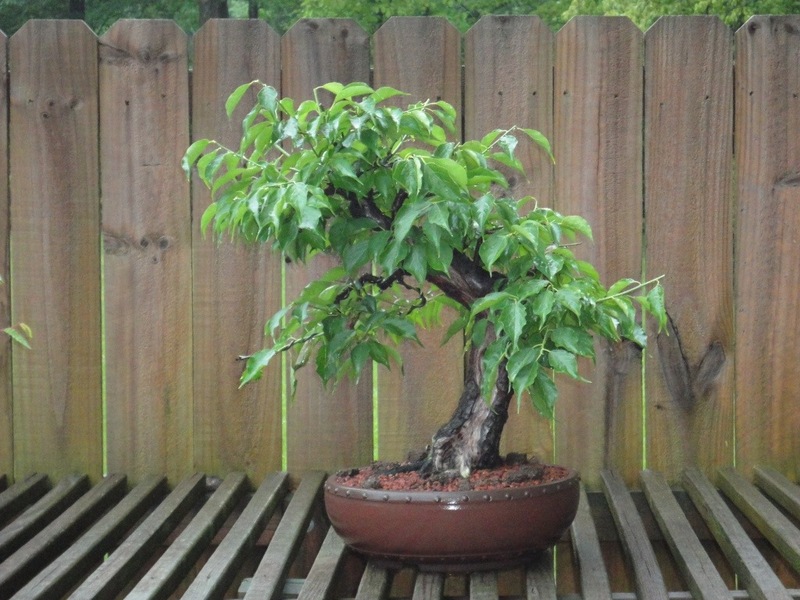 You did mention watering a lot all year long do you meant watering during the winter month too also I live in Dallas Texas can I leave the Ume outside during freezing temperature. 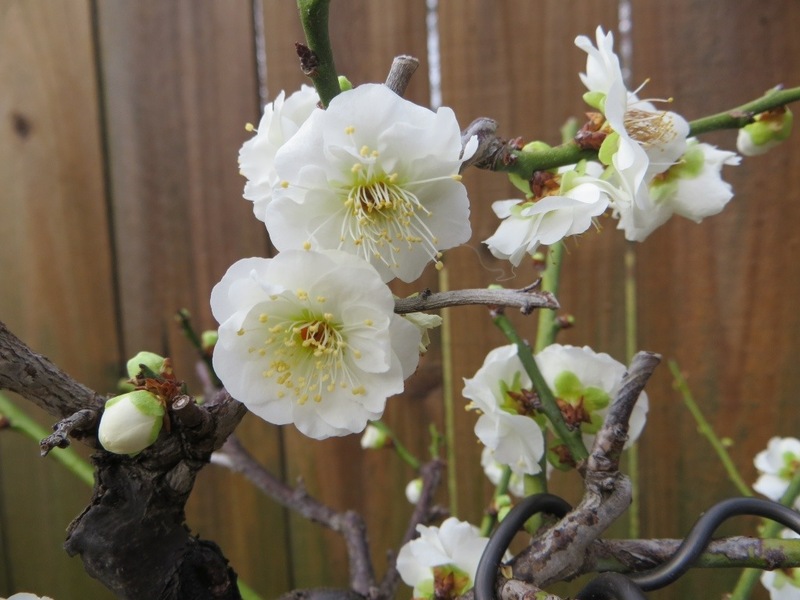 During the winter the ume needs water every 3-5 days. I try to keep it outside as long as the temps are above 28, and I’ll keep it in the garage when flower buds are open/ing, away from wind and still fairly cool. 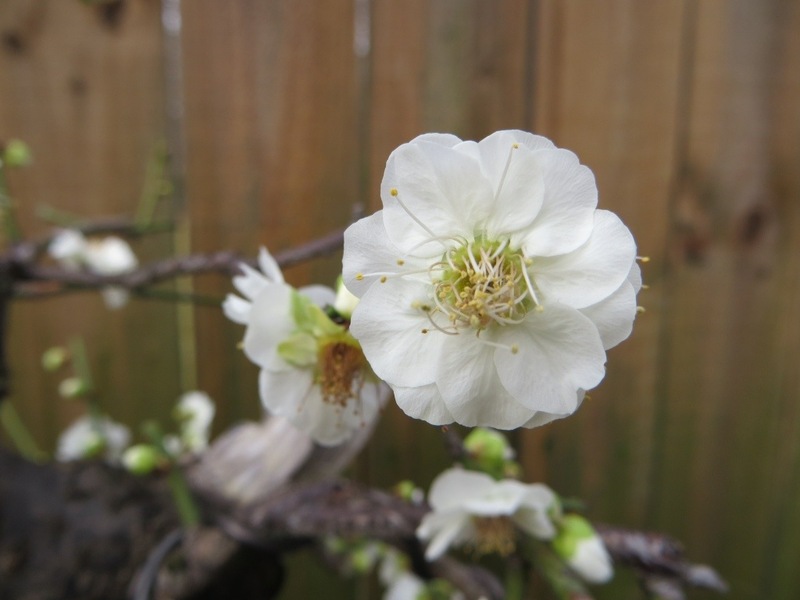 If it freezes while flower buds are swelling or open, they’ll blast. After it finishes blooming, it can go back outside unless it gets down below 28 again.